When your Honda is properly aligned it’ll travel in a straight line. When your vehicle’s alignment is off, it can more easily veer to the left or the right, which in turn causes your tires to wear down more quickly and unevenly, or worse, create an unsafe travel scenario. Never fear, our Ridgeland Honda service center near Jackson is highly experienced in alignment services so the next time your vehicle wants to wander, visit us. Why is Front-End Alignment Important? Routine alignment checks are important because they prevent your Honda from jerking to the left or the right without steering in either direction. The more you drive your vehicle over rough or severely uneven terrain, or even potholes, the higher the chance becomes of bumping your vehicle out of alignment. It is important to monitor your alignment so that you have a properly operating vehicle that is capable of taking you to all of your destinations. What is the difference between front-end alignment and general alignment? Your vehicle’s alignment system is twofold, and consists of just an alignment or a front-end alignment. These two basically mean the same thing; however, when talking about just the two-front wheels, it is called a front-end alignment. When talking about the vehicle’s alignment as a whole, which usually includes all four-wheels, that is generally called an alignment. What does front-end alignment consist of? A front-end alignment is when the system that connects your front tires to your vehicle is adjusted to the correct placement settings. During the process, your tires will also be adjusted to the proper angles to ensure that they are making proper and even contact with the road. Our service center recommends that you get your vehicle’s front-end alignment checked every 12-36,000 miles depending on your driving habits, however, check your owner’s manual for more specific information regarding your Honda model. At Patty Peck Honda, we are delighted to offer a service center that can provide care to all makes and models throughout the Jackson area. We only used genuine OEM parts, to ensure that your vehicle is getting the best products that will keep you on the road for a longer period of time, worry free! We have early hours of operation Monday through Friday, so that if you would like to come in before you start your work day, you have that option to do so! 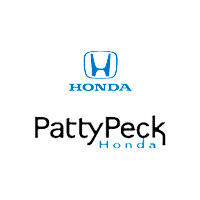 Patty Peck Honda has been around for 30+ years helping out customers of all vehicle types and issues, and we would love to continue to help them out for another 30 more! If your vehicle is in need of a front-end alignment, contact Patty Peck Honda by calling 601-957-3400 to schedule your appointment today!